Klorane wants Peony season to last all year-long and I’m not complaining! 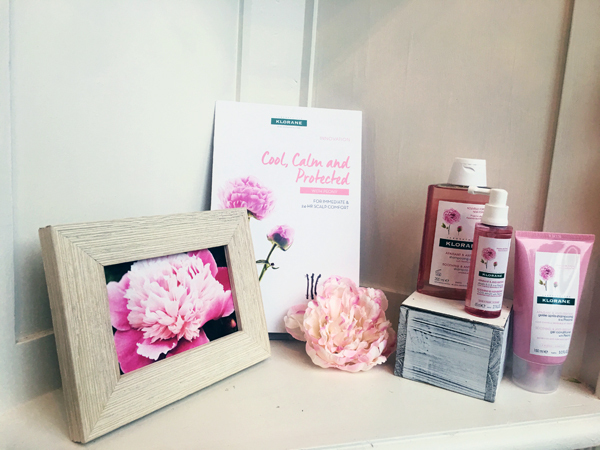 The Peony Collection celebrates the soothing power of the peony to keep keep sensitive scalps cool, calm, and protected. From stress and unbalanced diet to seasonal changes, traveling and product build-up, to exposure to pollution, hard water and excessive coloring, our scalps are exposed to and tolerate a multitude of elements every day. At the heart of the range is fashion’s favorite flower, the Peony, known for its soothing properties and a history dating back to the 10th century in the Far East. Not to get all scientific but within the root of the flower lies Paeoniflorin, a natural molecule with scientifically-demonstrated anti-irritant properties. 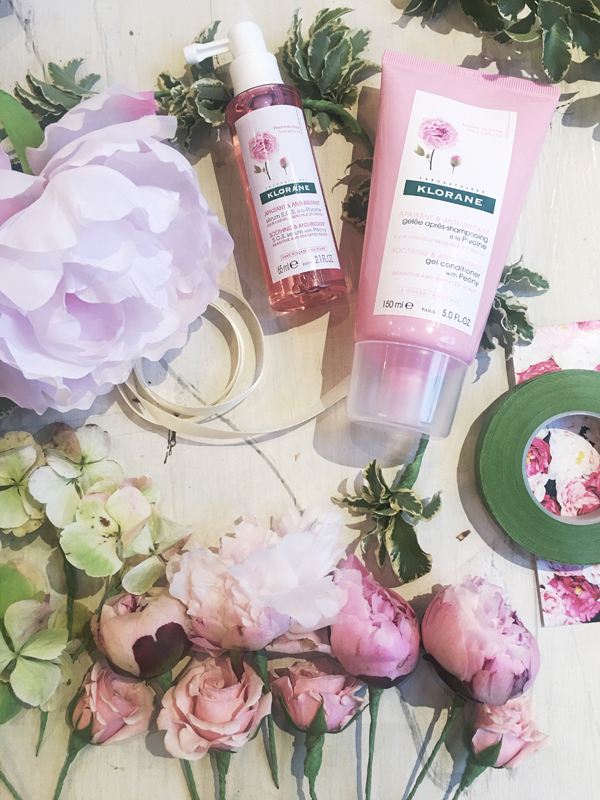 After the roots are collected, peeled and sun-dried, the key ingredient is concentrated into a Peony extract using natural, recycled solvents. 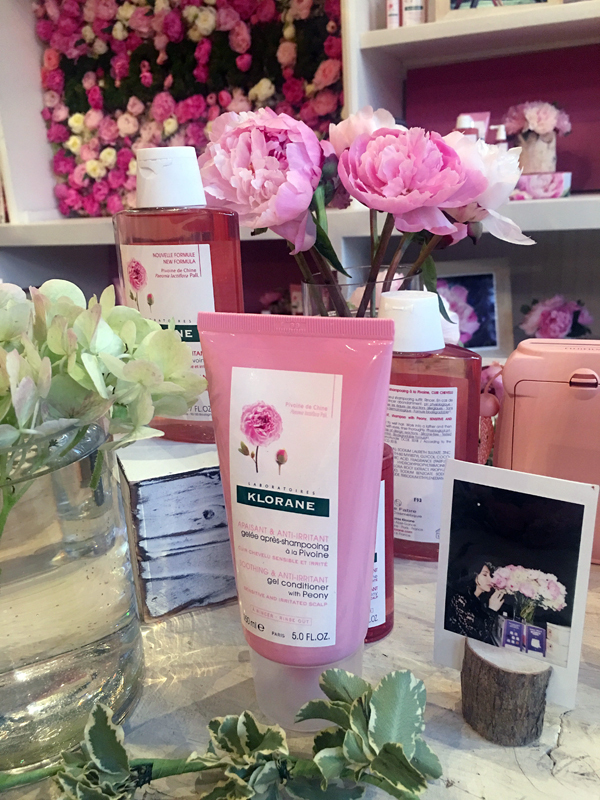 Klorane’s gel conditioner (yes, gel! ), shampoo, and SOS serum are formulated with a high concentration of Peony extract, enabling instant soothing for the scalp, along with a hydrating complex to promote optimal scalp balance and 24-hour comfort. 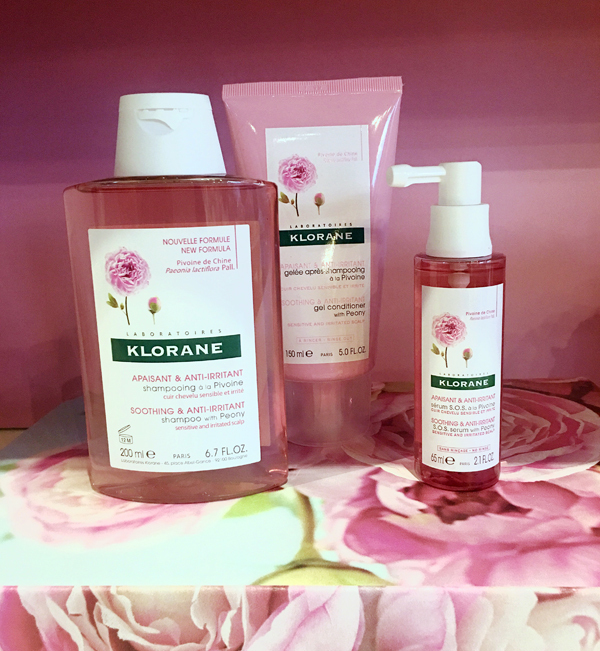 The trio of products – shampoo, gel conditioner and SOS serum – will be available on Kloraneusa.com, Sephora.com, and Ulta.com in June 2017. I promise it’ll be worth the wait!